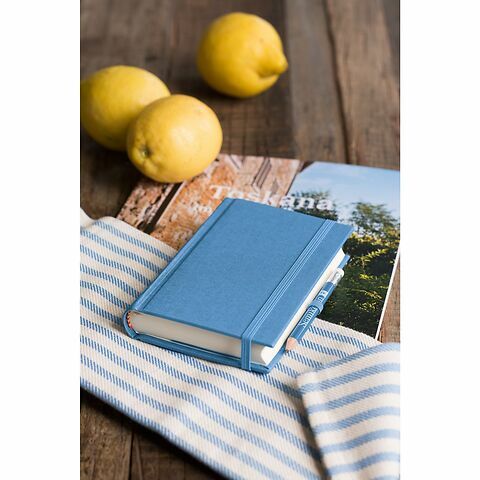 "Discover the world with this 'Petit Voyage' Travel Journal with high-quality linen cover and traditional stitched binding. With 304 pages of hand-made 100g paper, you have plenty of space for your holiday experiences, personal travel notes and secret tips. Blank pages with a world map with time zones, two bookmarks, pen holder with Semikolon pencil and elastic closure. linen and Efalin paper to hand-made paper. Get your ideas and notes down on beautiful paper!